Learn about the Fundamental building blocks that go into building a Windows Server infrastructure with Windows Server 2012. This five day course covers the basic skills and knowledge that are required in order to build a Windows Server Infrastructure. It covers networking architecture and topologies, security considerations and best practices as well as basic Windows Server administration skills and technologies such as Windows Server 2012 Installation, configuration, maintenance and performance. Within that it will also cover specific areas such as Active Directory Domain Services (AD DS), Domain Name Services (DNS), Storage and many others. This course is designed to provide foundational level knowledge needed to prepare students to start a career or cross train in Microsoft Windows Server technologies. 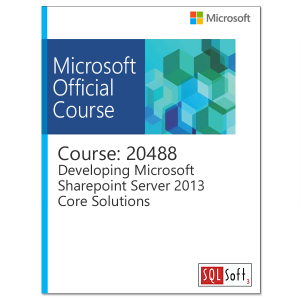 Learn the fundamental knowledge and skills that you need to build a Windows Server infrastructure with Windows Server 2012. This five day course provides the networking, security, and system administration information that you need to implement a Windows Server infrastructure. It covers the basics of installation and configuration, storage, network infrastructure, network components, network protocols, server roles, Active Directory Domain Services (AD DS), Group Policy, IT security, server security, network security, security software, monitoring server performance, and maintaining a Windows Server. This course includes the foundational level knowledge to prepare students to start a career or cross train in Microsoft Windows Server technologies. 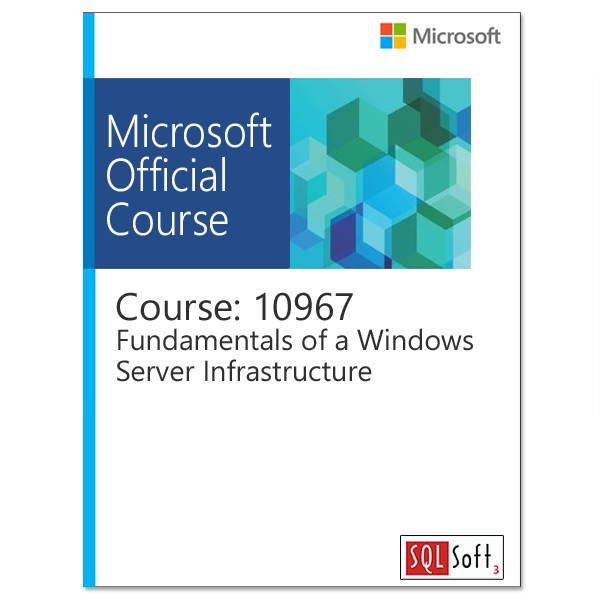 Students for this course are just starting their Information Technology (IT) careers or want to change careers into Windows Server technologies. This fundamental knowledge and skills can be used by home computer users, small business owners, academic students, information workers, technical managers, help desk technicians, or students who want to cross train from another technology. This course is a first step in preparing for a job in IT or as prerequisite training before you start the Microsoft Certified System Administrator (MCSA) training and certification path. Describe Windows Server components and architecture. Configure devices and device drivers. This module will introduce you to different storage technologies and discuss how to implement the storage solutions in Windows Server. There is also a discussion on how to create a resilient strategy for your storage, helping to avoid unplanned downtime and loss of data. Identify a suitable storage technology. Manage storage within Windows Server. Describe physical network topologies and standards. Define local area networks (LANs). Define wide area networks (WANs). Explain how to connect a network to the Internet. Describe how technologies are used for remote access. Describe the industry standard protocol model. Describe wiring methodologies and standards. Describe adapters, hubs, and switches. Describe routing technologies and protocols. Describe the Functionality of the TCP/IP Suite. Describe IPv6 Addressing and Transition. Describe the Various Name Resolution Methods Used by TCP/IP Hosts. Describe deployment options for server roles. Describe the fundamental features of AD DS. Implement organizational units (OUs) for managing groups and objects. Configure client computers centrally with group policy objects (GPOs). Describe the risks posed by connecting to the Internet. Describe possible mitigations to these risks. Describe the Windows Server components and features that can help provide his Internet security. Describe the Windows Server features that help improve your network’s security. Explain how to secure files and folders in the Windows Server environment. Explain how to use the Windows Server encryption features to help secure access to resources. Implement Windows Firewall to secure Windows hosts. Explain how to enforce corporate compliance. Implement Windows Server technologies and features to improve client security. Describe security threats posed by e-mail and how to reduce these threats. Explain how to improve server security using Windows Server security analysis and hardening tools. Use the Event Viewer to identify and interpret Windows Logs, and Application and Services Logs. Troubleshoot the Windows Server boot process. Implement high availability and recovery technologies to improve system availability. Explain the importance of system updates. Implement an appropriate troubleshooting methodology to resolve problems with Windows Server.